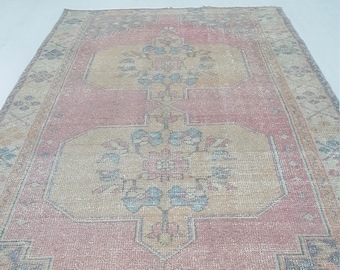 20-30 years old. 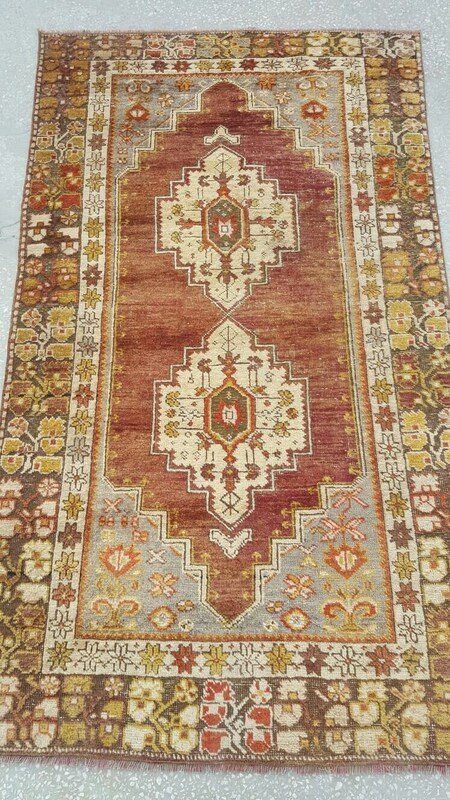 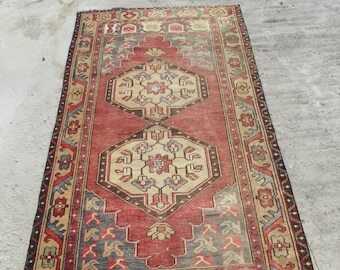 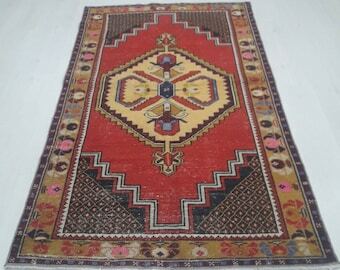 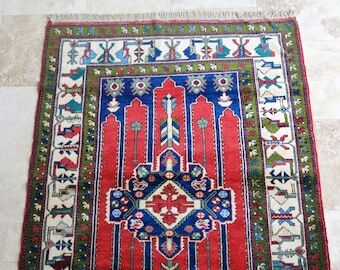 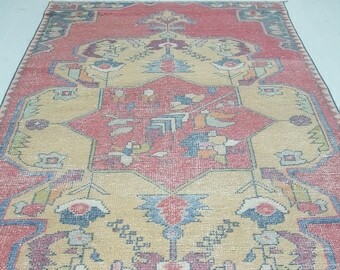 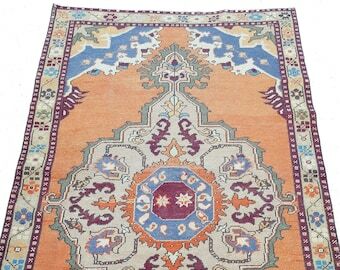 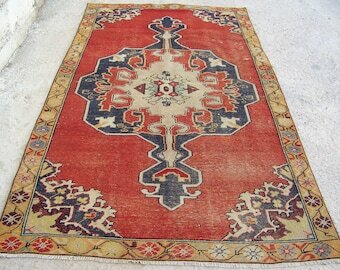 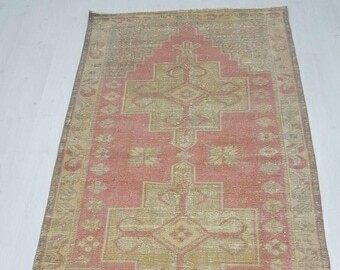 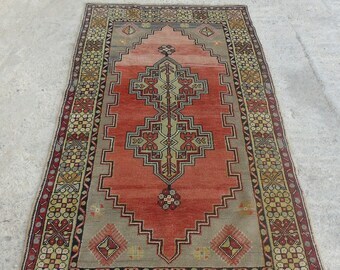 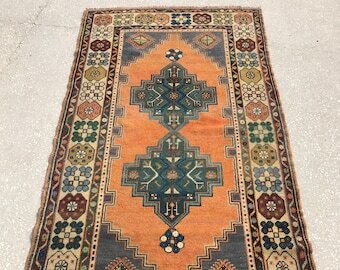 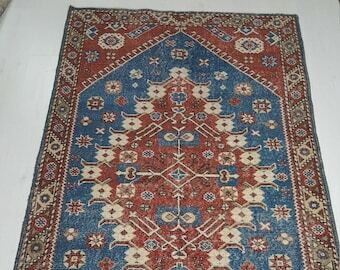 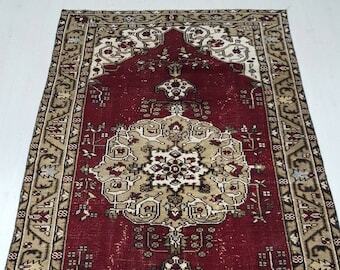 6'4" x 3'6", Distressed Turkish Oushak Medallion Rug, Rust-Brown Color, Village Rug. 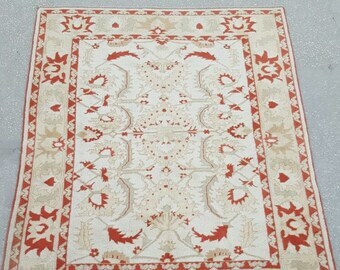 Handspun Wool pile (Weft) on Handspun Wool foundation (warp).